Tickets are running out for the 8th Annual Whiskies of the World Expo. Don't procrastinate any longer, get you tickets now! Order your tickets on-line at Celticmalts.com or call Riannon at 1-888-748-2400. The topic this month is shooters. We don't sell too many "shooters" at the bar. We do, however, sell a fair amount of tequila neat. As a nice touch I like to offer a small glass of sangrita with the tequila. Sangrita is a traditional accompaniment to tequila in some parts of Mexico. Generally served side-by-side with a nice premium tequila. 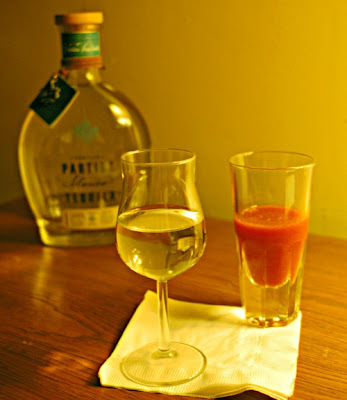 For this month's Mixology Monday I offer my Sangrita recipe and the Vampiro Shooter. 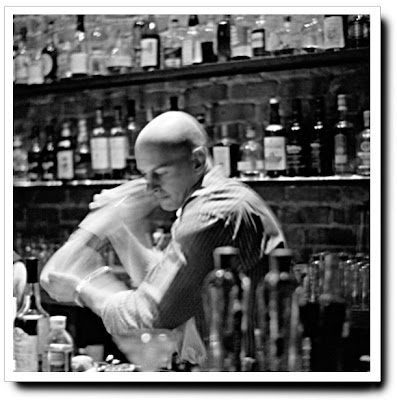 One of the best ways to enjoy the sangrita is to take it and the tequila in alternating sips, each enhancing the other. Another way to enjoy the sangrita is by mixing it with the tequila and enjoying them together. This is called El Vampiro. 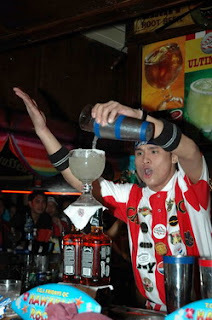 You can also make a tall Vampiro in a chimney and try it the next time you're thinking "bloody mary." It's best fresh, so use it all or drink it. It's good for you and you need those B vitamins after you try all the shooters in this month's Mixology Monday. It's being hosted this month by Rick at Martini Lounge. Head over there for the wrap-up, and all the shooter recipes.